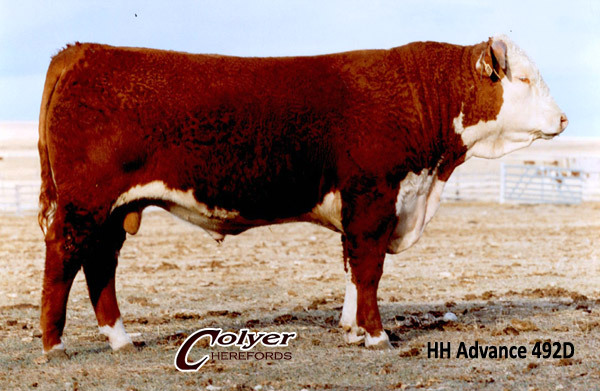 Colyer Hereford Sire: HH Advance 492D is a Hereford Sire of Distinction and foundation herd sire. 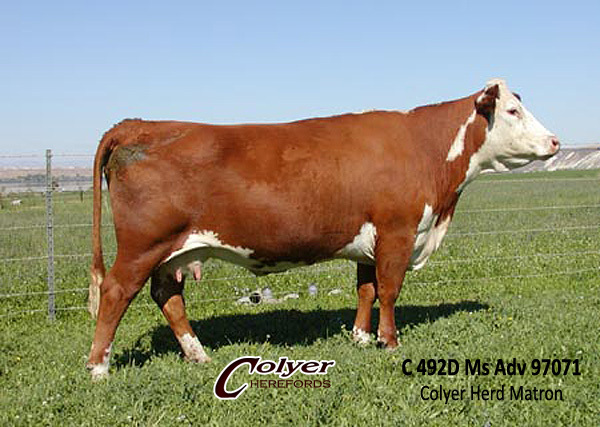 We purchased 492D from Holden Herefords, in partnership with Indian Mound Ranch and King Herefords for $67,000. His dam was a top producing cow and sold for $17,500 in the Holden cow sale. Daughters have great udders and moderate in frame. 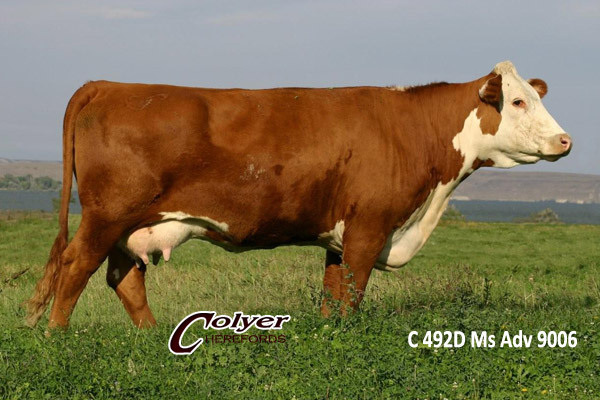 A feature Colyer donor female.